Australian School of Contemporary Chinese (ASCC) will officially reopen on 4 (Gungahlin, Red Hill and Woden) and 5 (Belconnen) February 2019. Topics: 1. Teaching and learning Chinese characters; 2. Designing Chinese learning and teaching: group activities; 3. Teaching and learning Chinese vocabulary in classrooms. Want to learn some Shaolin Kungfu? or learn to play Cucurbit Flute? 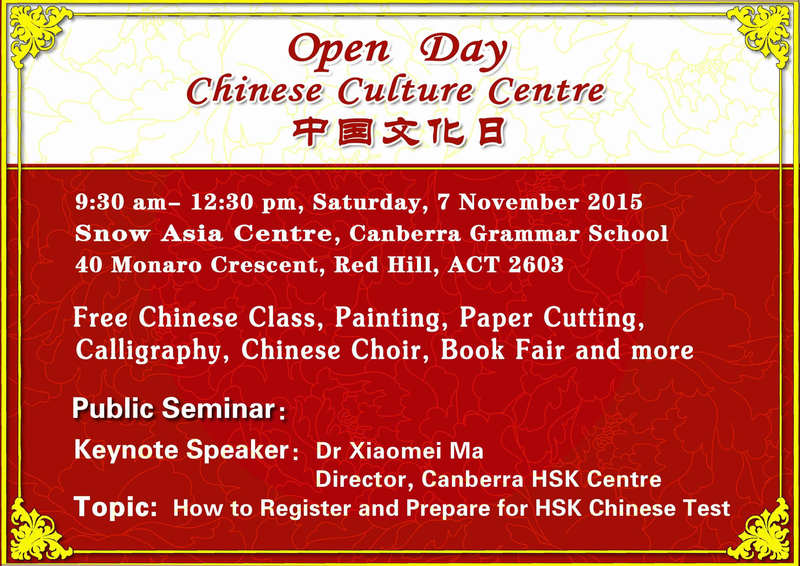 or just want to try some special things of Chinese culture, arts and crafts as well as music and dance? Come along this winter holiday in July 2016. The teachers are all specifically selected from a large pool of candidates and are coming from China to offer this rare opportunity. Look at who they are.